Would you like more leads? In this article I’ll reveal how to use SlideShare to generate quality leads. 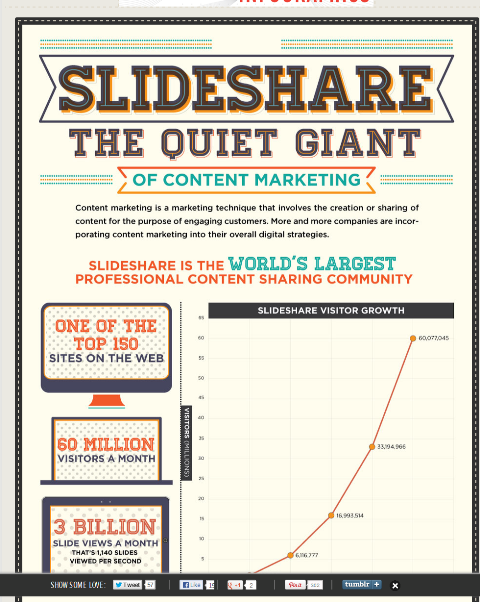 SlideShare is the world’s largest content-sharing community for professionals. Data collected by ComScore and presented in an infographic by Column Five Media, SlideShare: The Quiet Giant of Content Marketing, reveals SlideShare has 5 times more traffic from business owners than Facebook, Twitter, YouTube and LinkedIn (which now owns SlideShare). 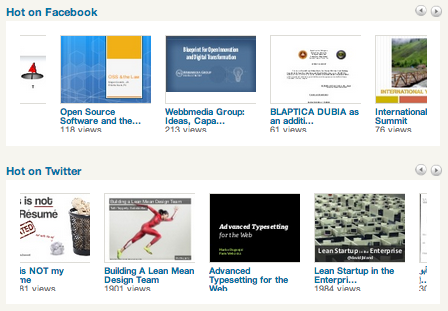 SlideShare is a good traffic source for many businesses. SlideShare traffic is driven largely by search and social networks. Visitors are mostly conducting research at work, so if you’re using the website and its services as a strategic marketing tool, you can make it a substantial weapon in your lead generation arsenal. 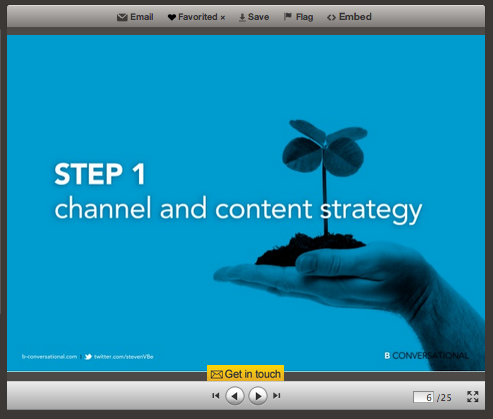 The following 3 points will help you generate leads with SlideShare. 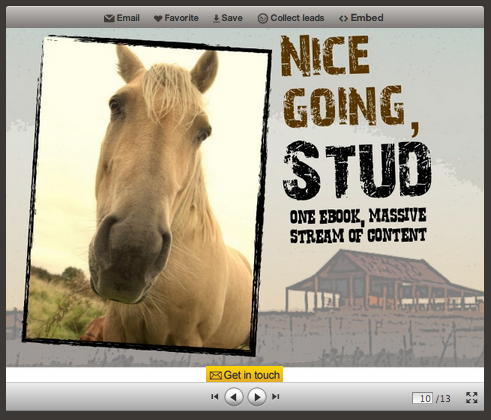 Compose with SlideShare in mind. Slide decks created for live presentations may fail on SlideShare. Your slides should “speak for themselves.” Revisit and revise slides that are likely to require explanations. 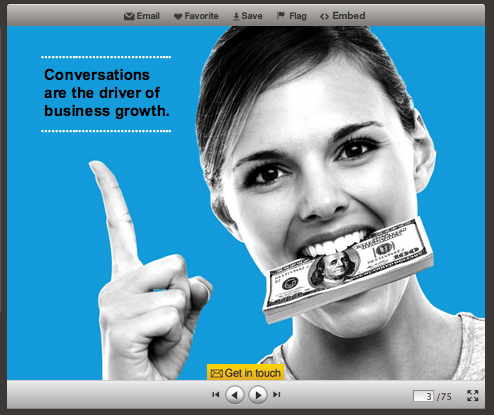 Slide decks that "speak for themselves" work best on SlideShare. Design with care. 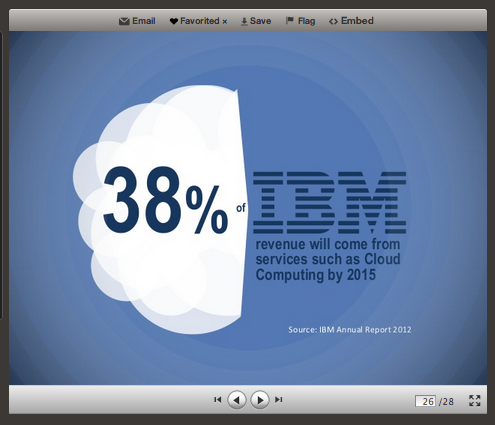 Highly viewed presentations tend to feature attractive graphics. Your presentation should include powerful images and quality fonts that are easy to read on small screens and maintain a high degree of professionalism on every slide. Communicate your point with simple, arresting design. Keep it simple. Presentations may be viewed quickly and in small spaces, so it’s wise to create a deck with a laser-focused message and present your ideas in small bites using as few words as possible. Present data in small, easily understood bites. Tell a story. Employ classic storytelling practices with a logical sequence and an obvious beginning, middle and end. Break longer works into chapters. Use storytelling conventions and tactics such as chapter markers to deliver a lesson. Employ content marketing best practices. Your presentation will be valued most when its content reflects that you understand your market’s challenges and deliver helpful advice for overcoming them. It won’t hurt to be entertaining too. 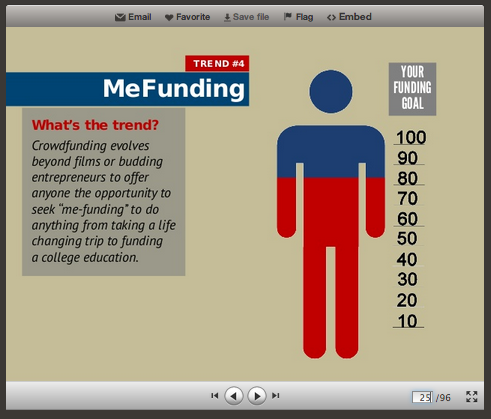 Slide decks that blend education and entertainment perform best on SlideShare. Take risks. Presentations stand out from the crowd when they are provocative, funny or bold. Don’t shy away from edgy ideas with the rationale that you’re trying to conduct serious business. A playful sense of humor helped make “The eBook is the Stud in Your Content Marketing Stable” an extremely popular presentation. Have fun and employ a sense of humor to make your story stand out. 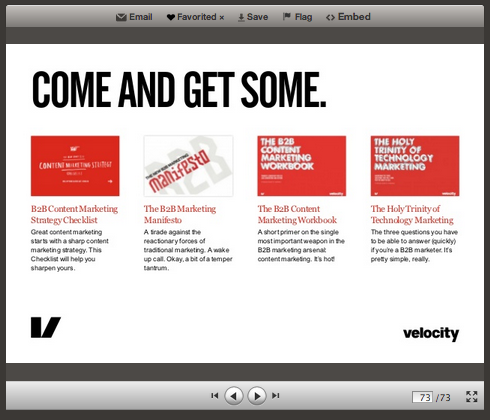 Understand the capabilities of SlideShare. Your uploaded content will be converted for presentation. Animations will not convert. 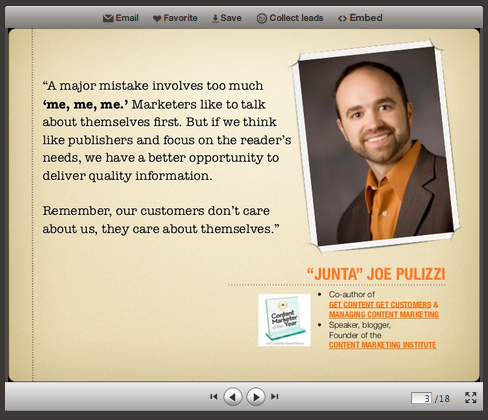 The best way to ensure the integrity of your work is to save it as a PDF for uploads to SlideShare. Invest in talent and quality. If you lack writing or design talent, outsource the work. Plan to spend the time or money it takes to secure the rights to strong photography and illustration. Increase your impact with professional design featuring quality photography and illustration. You’ll find rich libraries of free design templates built into PowerPoint and Keynote. For even more templates, search for “free PowerPoint (or Keynote) templates” to locate sites such as fppt and DezineGuide. Also, services such as SlideRocket and PhotoSnack offer free online slideshow creation tools. 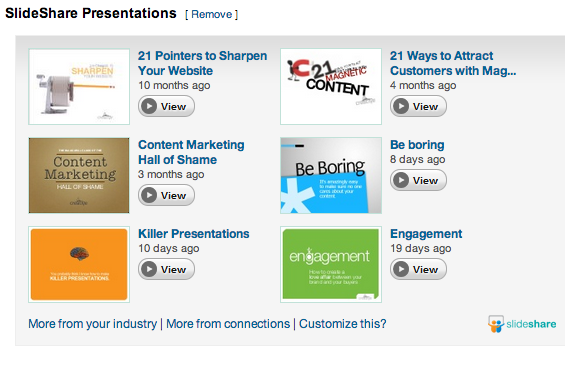 SlideShare features a professional and educational community that regularly comments, favorites and downloads content. Content spreads virally through blogs and social networks such as LinkedIn, Facebook and Twitter. Individuals and organizations use SlideShare documents to share ideas, conduct research, connect with others and generate leads for their businesses. Sharing—you can edit the settings for any uploaded presentation to make it available publicly or privately per your project’s objectives. Privacy options enable you to make your presentations public or private. 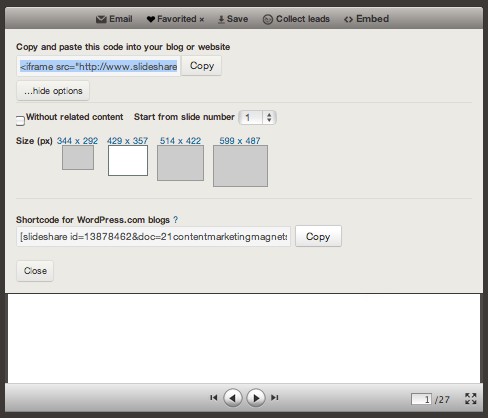 Embedding—code is provided, which makes it very simple to embed your SlideShare assets on your website and blog. 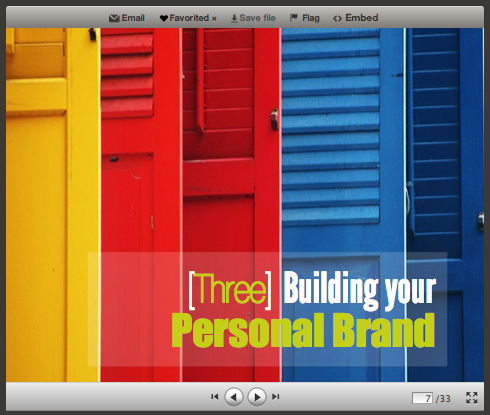 Users can also embed your work, which often exponentially expands the exposure of your presentations. 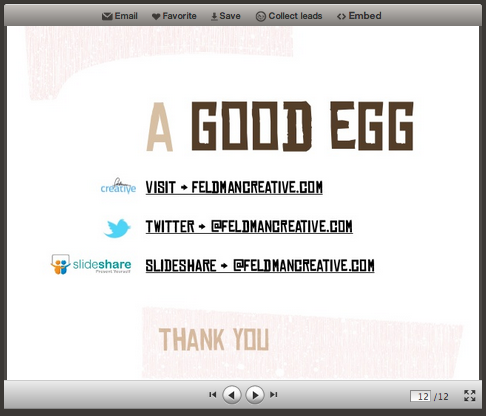 SlideShare gives you (and viewers) HTML code to easily embed your presentation on your site or blog. Video and audio—you can embed YouTube videos in your presentations or “slidecast,” meaning you can sync an MP3 soundtrack. Upload wizards are provided in your My Uploads menu. User settings offer options for adding audio or YouTube video to presentations. Social sharing—it’s easy to share content or promote the sharing of your content on Twitter, Facebook, LinkedIn, Google+ and Pinterest. 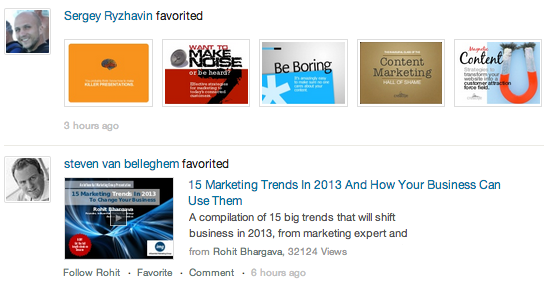 In fact, a LinkedIn app allows you to have your SlideShare content fed to your LinkedIn profile page. You might consider targeting a specific social medium because the SlideShare home page features documents that are hot on Twitter, Facebook and LinkedIn. A LinkedIn app makes it easy to embed your presentations on your LinkedIn profile page. Go “pro”—a trio of paid Pro plans are specifically designed to enable you to include customizable lead capture forms, create company branded channels, and collect detailed analytics including performance metrics, user identities and interaction details. Go pro with a paid account to include lead capture forms and functionality. Following—you can follow other users, mark presentations as a favorite, email content and comment. So, like other social media, you are offered tools to build a community, interact and recognize others. Paid account holders have news feeds with updates including follower activity and presentations marked as favorites. 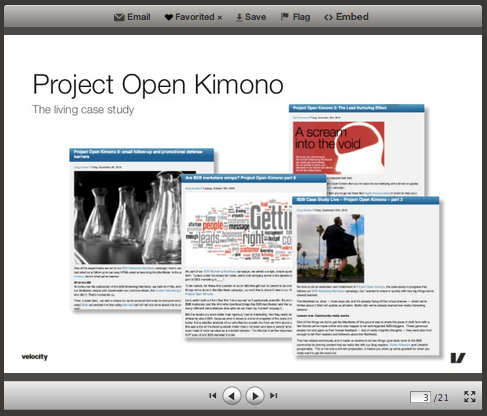 SlideShare automatically transcribes presentations to improve search engine results. Remember, SlideShare may get filed under “social media,” but you’re taking it seriously because its users are serious about research and discovery. Repurpose with purpose—if you’ve been active in content marketing and social media and have a strong grasp of what works for your business and its objectives, reuse and repurpose your most engaging content for the SlideShare site. Examples and testimonials—don’t forget opportunities to deliver proof of concept. That is, highlight real-world success stories and feature testimonials in a fair and objective way when you can. Include case studies to increase credibility. Leverage authority—if you’re on a mission to establish authority, draw from the ideas of thought leaders. Cite their work. Endorse their ideas and they might just return the favor. Leverage ideas from established leaders to increase authority. Share—SlideShare is a social medium. Follow the content creators you admire and share their work. 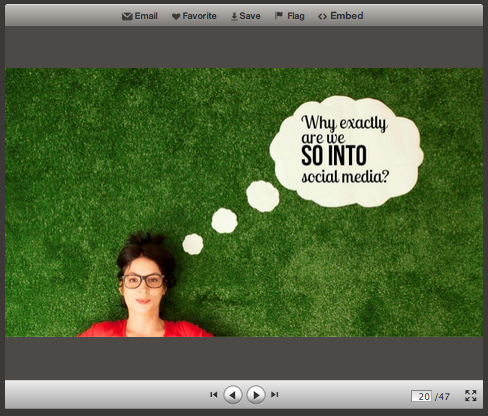 SlideShare promotes sharing and reports what's "hot" on social networks. Provide contact information and links—your presentations can include links throughout to generate traffic to your site, media outlets and landing pages. At the end of your presentation, provide the relevant contact information and make it easy to continue the conversation. 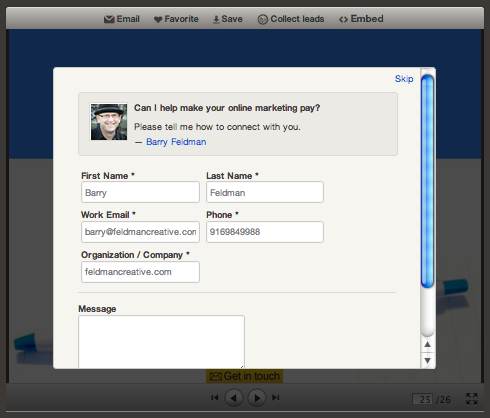 Embed links to make it easy for viewers to contact your company. Call to action—if a viewer has made it to your final slide, he or she is interested in what you have to say and is likely to have questions, want more information or want to do business. Don’t be coy. Provide the call to action you seek. Offering additional information on your presentation's topic is an effective call to action. Marketers are increasingly folding SlideShare into their content marketing strategy because the website has proven effective for building brands and generating leads. Apply the tips provided here to create a compelling presentation, take full advantage of SlideShare’s rich features and generate leads for your business. What do you think? Are you using SlideShare? Are you generating leads? Leave your ideas, questions and comments in the box below. Barry Feldman of Feldman Creative is a content marketing consultant, creative director, copywriter, and speaker. He was recognized in “25 Social Media Marketing Experts You Need to Know” by LinkedIn.